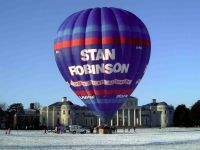 A champagne hot air balloon flight from Stapley Water Gardens valid for midweek Morning and Evening flights. A once in a lifetime experience accompanied by champagne that you can't afford to miss out on. 4 hours, with 90 minutes in the air. 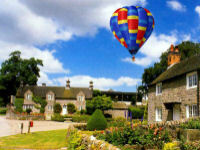 A champagne hot air balloon flight from Chester Rugby Club valid for mornings, evenings and weekends. A once in a lifetime experience accompanied by champagne that you can't afford to miss out on.